A while back I wrote a post about the bargains that can be found at Chemist Direct. I was very fortunate to work with this company so that I could experience just how much money they could save me and how good their customer service is. I was asked to pick two items for them to send to me for review. The first item I picked was Jungle Formula Mosquito Repellent because at the time of being contacted, we were due to go on our Summer holiday abroad. 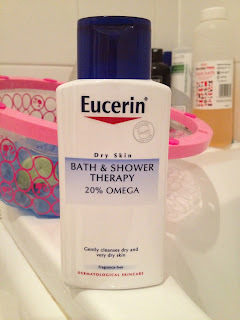 The second item I chose was Eucerin Dry Skin Bath and Shower Therapy. 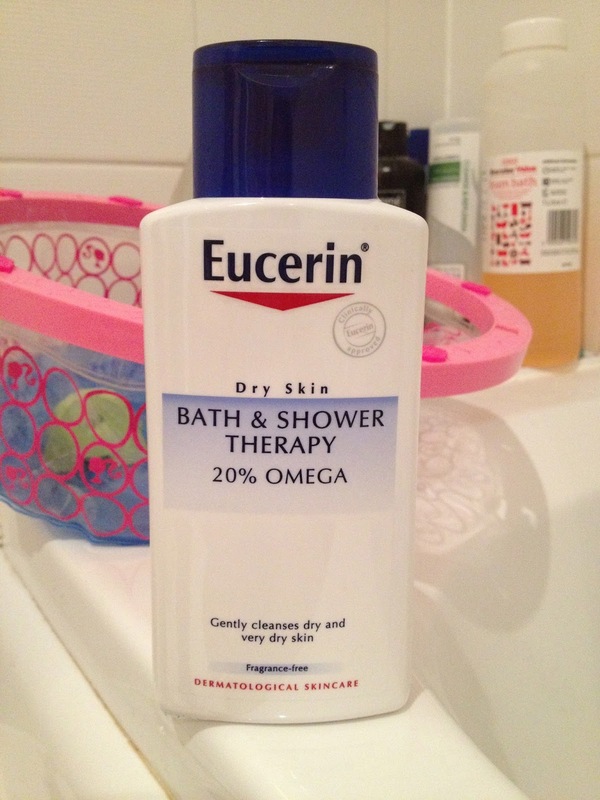 Myself and three of my daughter's all suffer from different degrees of eczema and I had heard a lot of positive things said about the Eucerin brand so I was happy to get the opportunity to test this product out. The Bath and Shower Therapy is a cleansing emollient which contains 65% natural oils and lipids which are designed to stop the skin from drying out. What I like is that it is fragrance and colourant free and it is also suitable for all ages, so it was perfect to use on my whole family and would be ideal if you had a new born suffering from a skin complaint. We used it on a daily basis at bath time for two weeks. I can't tell you that it completely cures the eczema as by the end of that fortnight, the eczema on each of us was still present, however it wasn't as inflammed and the skin was noticeably softer than before. My five year old said that it stopped her arms from being so itchy, so the Eucerin obviously had a calming affect on her skin. You can purchase Eucerin Baath and Shower Therapy from Chemist Direct for £7.48 which is a saving of 77p, not huge amounts of money off but I think in this day an age any money saved is worth while. The bottle itself is a very generous size and because you don't need to put a lot in the bath each time, it will last for longer than your normal bottle of bubble bath. You can of course purchase other Eucerin products to use along side the Bath and Shower Therapy, all of which can also be found on Chemist Direct. We utilized it consistently at shower time for two weeks. I can't let you know that it totally cures the skin inflammation as before the end of that fortnight, the dermatitis on each of us was still present self esteem harley street, notwithstanding it wasn't as excited and the skin was recognizably softer than some time recently.